Freedom. The exhibit focuses on the Fairfield area in the 1920s, including businesses in the area. Nearby booming Bridgeport offered many outlets for flappers to express their ideals. The Ritz Ballroom opened in 1923 in Black Rock near Ash Creek, and in 1922 impresario Sylvestre Poli opened the Poli Palace, a vaudeville house, in downtown Bridgeport. 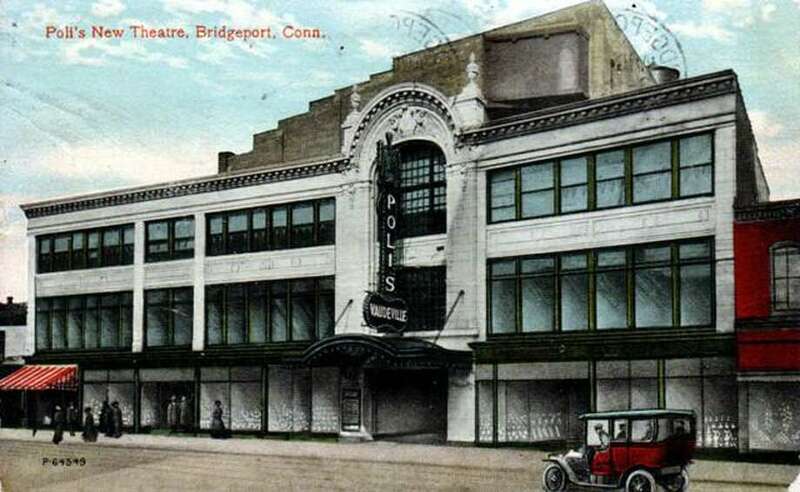 The Poli Palace was the biggest theater ever erected in Connecticut - and the largest amongst Bridgeport’s 20-plus theaters. It shared a building with the Majestic Theater, and both were impressive and very much in the style of the 1920s -featuring crystal chandelier, gilded moldings, high arching ceilings and detailed craftsmenship. Visit Flappers: Fashion and Freedom to learn more. In conjunction with the exhibition, the Fairfield Museum will be hosting a Swanky Speakeasy party on October 6. Information and tickets are available at Fairfieldhistory.org or by calling (203) 259-1598. The Fairfield Museum & History Center and Museum Shop, at 370 Beach Road, is open seven days a week, 10 a.m. to 4 p.m. Members of the museum and children under 5 are admitted free. For information, call 203-259-1598 or visit Fairfieldhistory.org. The museum relies on funding from individuals, corporations and foundations. The museum is especially grateful for support from the Department of Economic and Community Development, Connecticut Office of the Arts, the State of Connecticut, town of Fairfield and Fairfield County’s Community Foundation.